A significant number of patients have wanted to believe that, with the coming of targeted biopsies based on multiparametric MRI imaging, the need for “random” systematic biopsies (e.g., standard 10- or 12-core biopsies) would go away. Unfortunately, that is just not going to be the case — at least, not yet. We have previously (see, for example, here) provided readers with data demonstrating that the most accurate method for ensuring that prostate cancer gets appropriately diagnosed is through the combination of targeted biopsies based on mpMRI imaging and systematic biopsies, ideally using an MRI/TRUS fusion biopsy process so that both the 12 or so systematic biopsy cores and the additional targeted biopsy cores can be removed at a single biopsy process. However, a new paper from a German clinical research group (Cash et al.) has now offered us additional data that support the importance of combining targeted with systematic biopsies. Cash et al. carried out a retrospective analysis of data from biopsies of a cohort of > 400 prostate cancer patients to try to examine, in detail, the value of additional TRUS-guided systematic biopsies in patients with negative MRI/TRUS fusion-guided targeted biopsy results and to try and identify possible reasons for failure of the targeted biopsy process. Within their total cohort of 408 patients, all of whom had a suspicious mpMRI between January 2021 and January 2015, there was a subgroup of 61 men who had a negative result on targeted biopsy but who had had prostate cancer detected on a 10-core systematic biopsy. The research team carried out careful re-readings of the mpMRI results for these 61 patients, looking at each suspicious lesion while not knowing the biopsy results. They then conducted an unblinded anatomic correlation of the lesion on mpMRI to the actual biopsy results. 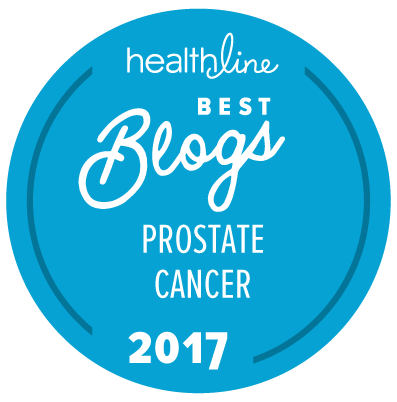 39/61 patients with negative targeted biopsies (64 percent) showed signs of significant prostate cancer on their systematic biopsies. 35/61 patients with negative targeted biopsies (57 percent) showed signs of intermediate- or high-risk prostate cancer on their systematic biopsies. The original, initial scan readings identified 90 suspicious lesions (with PI-RADS ≥ 3) in the 61 patients. Sampling of the target lesion by systematic biopsy in the corresponding anatomic site for 36/90 lesions (40 percent) in 35/61 patients (57 percent) . Sampling the target lesion by systematic biopsy was most likely for lesions with PI-RADS scores of 4/5 and a Gleason score ≥ 7. 70/90 lesions (67 percent) with Gleason score 6 in 44/61 patients (72 percent) were sampled from prostatic sites with no abnormalities on mpMRI. In cases of failure of targeted biopsies to detect prostate cancer, systematic biopsy can still detect a high rate of significant prostate cancer. The primary reason for a negative targeted biopsy result appears to be targeted biopsy error, which was compensated for by positive sampling of the target lesion by the additional systematic biopsies. A secondary reason for failure of targeted biopsies was a false high initial PI-RADS score. The challenges associated with the actual practical use of MRI diagnostic imaging/interpretation and prostate lesion sampling are evident in this cohort of patients and support the integration of systematic biopsies into the targeted biopsy workflow. The bottom line, at present, is that we actually cannot carry out mpMRI targeted biopsies with sufficient accuracy to identify and actually biopsy 90+ percent of all prostate cancer lesions in a cancerous prostate — in part because the MRIs simply do not show some areas of cancer with clarity. Until we have technology and methodologies that allow us to meet such a goal, it is in the best interests of patients to combine targeted biopsy processes with systematic biopsy processes in order to optimize the accurate diagnosis of prostate cancer, prior to any final decisions about actual treatment. “Targeted” seems like an overstatement implying a precision that does not exist. “Aimed at” might be better. Wondering out loud if the prior gallium-68 posting, which would at first seem like a gross screening overkill, might in fact be a cost-effective method considering the great treatment overkill/under-treatment risk resulting from the uncertainty of the current methods. Not that I know much of that cost or grading accuracy, it’s targeting ability would seem to be an improvement. I looked at the abstract, and it’s not clear whether these were initial and/or subsequent biopsies. It’s been my understanding that an MRI guided biopsy is preferable to subsequent or confirmatory biopsies. Is this saying somebody on active surveillance should undergo both MRI guided and random TRUS guided? To clarify, I thought MRI guided is preferable to subsequent or confirmatory random TRUS biopsies. The need for a combination of MRI-guided and systematic biopsies would be an absolute must for any patient having a first biopsy after an MRI and would be very highly recommended for any patient having a repeat biopsy to confirm that he is a good candidate for active surveillance after initially being diagnosed solely on the basis of a systematic 10- or 12-core biopsy with no MRI. The need for both the MRI-guided and the systematic biopsies is less certain in the case of men getting later re-biopsies if they are on active surveillance for the long term. We don’t really have enough information yet about that group of patients because not enough men would have been followed yet for very long on active surveillance with annual MRIs. Assuming a patient is getting regular MRIs while on active surveillance, which would probably be the ideal situation today, I can’t see any justification for systematic biopsies alone for such patients. Any study will report findings that vary drastically based on the quality of the technology and the skill of the physician(s). So any study needs to be scrutinized for usefulness. For a more detailed and correct analysis of this issue, see the abstract (PD44-06) of a presentation by George et al. (from the group at the National Institutes of Health) at this year’s annual meeting of the American Urological Association. They address the ability to identify clinically significant tunors. — Fusion alone, 85% effective. — TRUS alone, 60% effective. — Both together, 89% effective. MRI-guided in-bore is significantly better than MRI/TRUS fusion … Estimated at 5 to 10 points more effective than fusion per Dan Margolis, MD (UCLA) at PCRI meeting 2015. Also, according to Dr. Margolis, when the fusion biopsy misses a significant suspicious area, they recalibrate software, etc., and re-do it and find it. Also, there are significant disadvantages to doing, at best, marginally useful (TRUS) biopsies — including risk of infection requiring hospitalization (2.7%), allergic reaction, edema, hemmorrhaging (which causes cloudy imaging for 6-8 weeks), and inflammation (which can lead to higher PSA) … And this leads to more unnecessary biopsies.